Make the choice that will change your life! 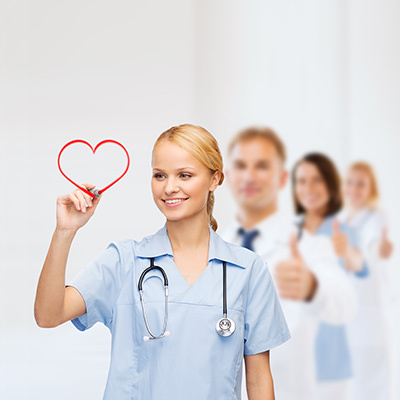 We offer programs to you get started on a new career path in healthcare today! Don't just sit at home wishing you can be something great...Register today & start your new journey! We equip students to think critically & sets the foundation for career planning & lifelong learning! HPI is staffed by Professionals with over 20 years in the Industry and who are current in practice and licensed. The school is fully bonded and insured. HEALTH PROMOTION INFORMATION LLC (HPI School of Allied Health) is a private vocational school established in 2006.With the support of a highly qualified and experienced faculty team, we offer our best to train healthcare providers. It is with the same intention that we extend our services to our graduates and other members of the community. Our programs are oriented towards the development of the whole individual including the social, emotional intellectual and psychomotor aspects of human life. They are designed to assist students acquire the necessary skills to function as members of an interdisciplinary health care team. They provide broad and specific occupational skills and knowledge which equip students to think critically and sets the foundation for career planning and lifelong learning.
" The training I received was excellent, I will definitely recommend the school to other students "
" I had a degree but no skills, HPI Programs help me to get a job "
" Teachers are highly skilled and knowledgeable, they are always helpful "
Call us (908)687-0808 today. All Rights Reserved HPI School of Allied Health. Site Developed by Kreative Concepts.